Tickets for the prize presentation on February 23rd 2019 will soon be on sale – we’ll post details soon for booking. Any riders who have a trophy from last season please make sure you return it by the latest at Blakemere on January 26th. 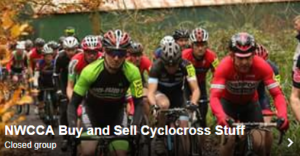 Please contact sarah.grimshaw@nwcca.org.uk if you won’t be at Blakemere and wish to arrange to return a trophy. All clubs and teams who have riders in the league are asked to donate one raffle prize each for the presentation night. Again, please see or contact Sarah to discuss collection. Riders overall score will be the combined score of their top 9 races (that being the number of counting events for this year). The U12 team will consist of the top 3 scoring riders from one team (this can be made up of girls/boys or a combination). The Youth team will consist of the top 4 scoring riders from one team which must include a combination of riders from all categories U14, U16, boys and girls.